Since 2013 the Greenway School in Samraong has offered free education for those who couldn’t otherwise afford it. Every day, more than 400 children arrive at the Greenway School to attend one of the two sessions offered, all of them eager to learn. 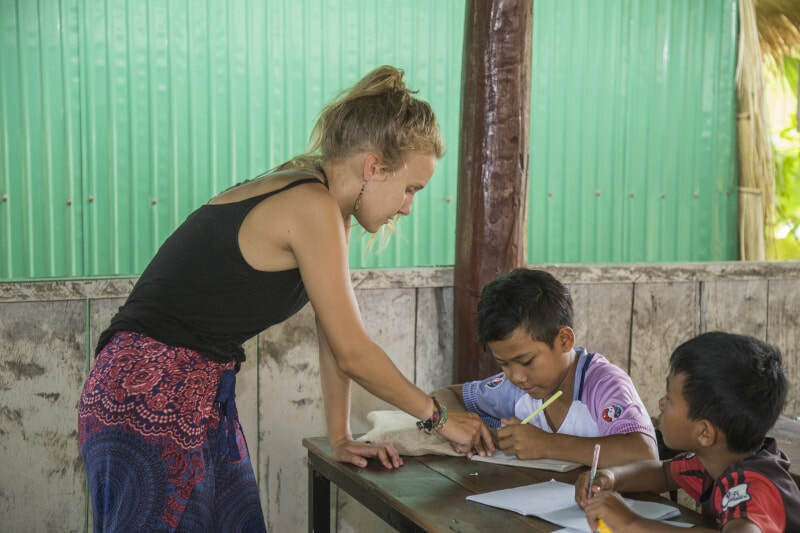 The school was designed, built and is completely operated by volunteers under the guidance of our native Cambodian manager and teacher Mr. Ya Nuth who has been working with this rural community since 2008. His efforts in developing local schools and hospitals, with the help of international volunteers, has had an immeasurably positive effect on the community. Students attend a regular public school for three hours per day, either in the morning or afternoon. This timetable gives the children a chance to come to our school during the opposite session (e.g. the morning group can attend our afternoon shift and vice versa). What is so unique and amazing about the Greenway School is that the children come of their own accord, it is entirely voluntary and the high numbers shows they truly enjoy it here. The children who come to Greenway School are aged between 6 and 15 and all live in surrounding villages. Most currently possess just a basic level of English, but using our established curriculum we are able to accommodate beginners all the way up to level 5. Teaching takes place in a traditional classroom setting, with plenty of room for flexibility and creativity in your lesson planning. The most important thing is that you follow the prescribed curriculum and provide adequate review, which will allow students to be better prepared for weekly progress and end of year assessment tests. To facilitate maximum learning and comprehension, you will need to continue the pace that has been set by school directors for the class you are working with. Participants can expect to work alongside other local teachers or participants. This could mean 3-5 participants taking turns with providing instruction during the course of the session. This could allow for smaller group engagement and when needed, one-on-one help for students who may be having challenges with the material. Class sizes are typically between 10-30 students. 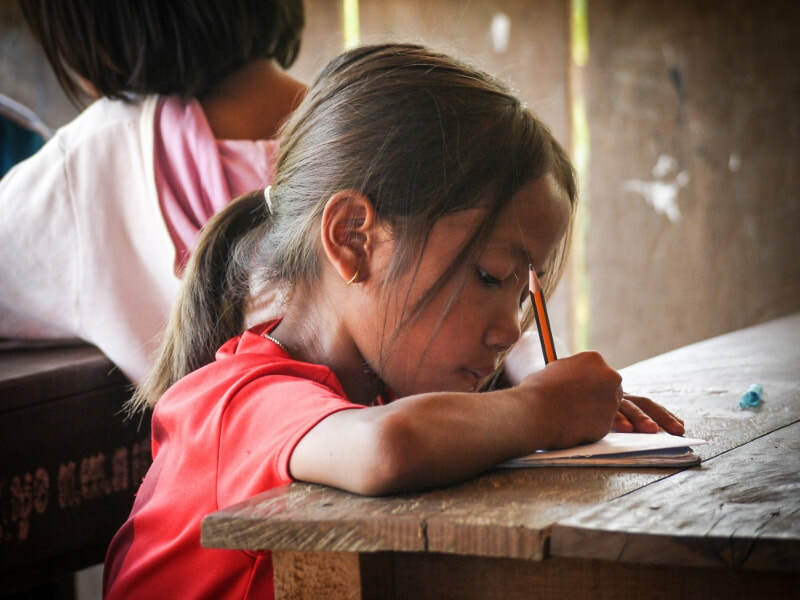 Classrooms are equipped with basic teaching resources, such as a whiteboard and flash cards and you are encouraged to bring small learning materials and items to use in your class and/or donate to our school. These things are gratefully received and help to broaden the curriculum and teaching possibilities that we can offer. The core focus of the teaching project will depend upon the needs of the school at that particular point in time. Your main tasks, aside from teaching English itself will include preparing lesson plans, and administering weekly progress tests. Arrive at Siem Reap International Airport (airport code REP) and say hello to Cambodia. After clearing customs and immigration, you’ll be met by our local team and a vehicle will be waiting to take you to Samraong, a journey of around 2 hours. Arrive any time between 6am and 4pm and we’ll be there to meet you with a warm welcome. 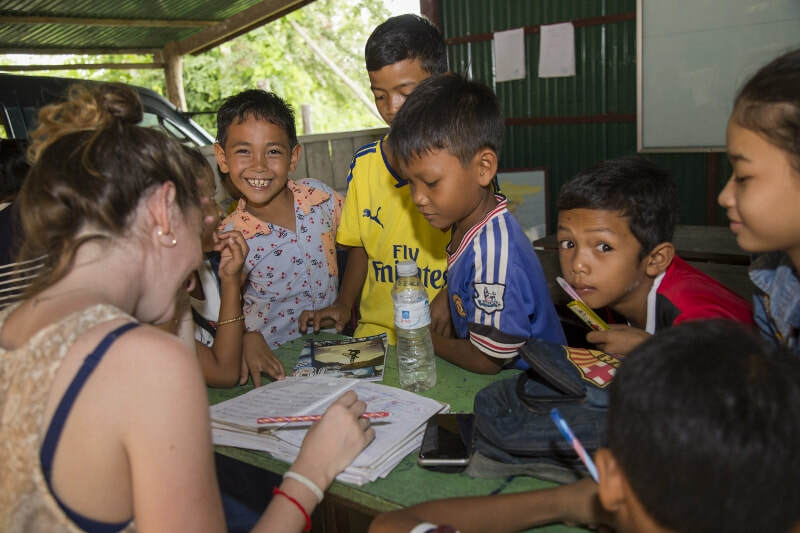 Enjoy getting to know the group and coordinators during your first evening in Cambodia during which there will be an orientation session to get you ready for the school week ahead. During orientation the size, level and teaching team will be determined. Teaching time with the students is divided into two shifts, with lunch and free time back at the accommodation in between. The first shift begins in the morning from 08:00 -11:00 while the afternoon shift is from 14:00 - 17:00. You should also expect to spend time working on the next day’s activities and exercises so that you are prepared and comfortable for the duration of the lesson. You’ll get to and from school by bicycle. Spend your free time as you please, your weekends are yours to enjoy. The town of Siem Reap is only 2 hours away and many volunteers head there either as a daytrip or for the weekend. The vast temple complex of Angkor Wat is a sight to behold and Siem Reap itself is a great little town with restaurants, bars and markets to explore. Your last day (Saturday) – one of these days it will be time to say goodbye. You’re free to leave any time Saturday morning and we’ll help organise a taxi for the return airport transfer, a journey of around 2 hours. You should budget around $40, divided by up to 4 volunteers. ​Samraong, which name translates from Khmer into “impenetrable jungle”, is a town in north-west Cambodia, close to the border with Thailand. This remote location will give you a taste of what rural Cambodia looks and feels like, while at the same time allowing you to explore some of Cambodia’s highlights, as Siem Reap is located only two hours away. The accommodation in Samraong is simple and natural. Participants will be accommodated in a volunteer house in a village on the outskirts of Samraong. Here you’ll experience the real Cambodia and mingle with the locals. Volunteers share a room with three others with a shared bathroom. Rooms are fan-cooled, lockable and there is wifi available. If you prefer your own space, a private room upgrade is an inexpensive option at $190 per week. We provide for 3 meals during weekdays and 2 meals (B/D) during the weekend. Your meals will be typical Cambodian style, including plenty of rice dishes, meat and at times, western food. Vegetarian diets are catered for. There are ATMs in Samraong, as well as a bank and numerous local shops where you can get all the basics you might need during your stay.